HoldenCopley are pleased to offer a fantastic range of property for sale in Hucknall, which is a popular area to live within Nottinghamshire. Hucknall, which was formerly known as Hucknall Torkward, was historically known for knitting and mining, whilst most recently being famous for its Rolls-Royce testing and manufacturing. Now a highly popular area within Nottingham, property for sale in Hucknall is in great demand due to its range of shopping facilities and restaurants, whilst also being close to the centre of Nottingham thanks to the tram route which runs every 3-5 minutes. In addition, if you are looking to sell your property in the area simply click here to discover how you can receive a no-obligation quote: House Valuation in Hucknall. 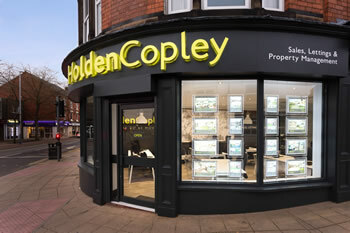 If you have any questions or wish to arrange a viewing, please contact our friendly team today on 0115 8969800 or info@holdencopley.co.uk and we will be happy to help.